In the Meetings Convention Kit, you&apos;ll find a number of resources--from logos to powerpoint templates and everything in-between--to help you promote your convention in Houston. All documents and collateral are available for download directly from our site, or if you’d like to order anything in bulk, please contact our Client Services Staff. Our dedicated team is here to assist you in making the most of our resources to ensure a successful convention in Houston. A roundup of Houston media coverage, including features in Hemispheres, The New York Times, Bon Appetitand more. 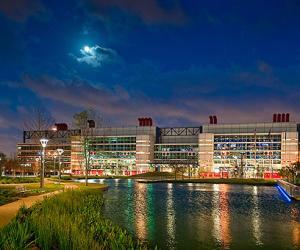 Download high resolution images and footage of Houston.